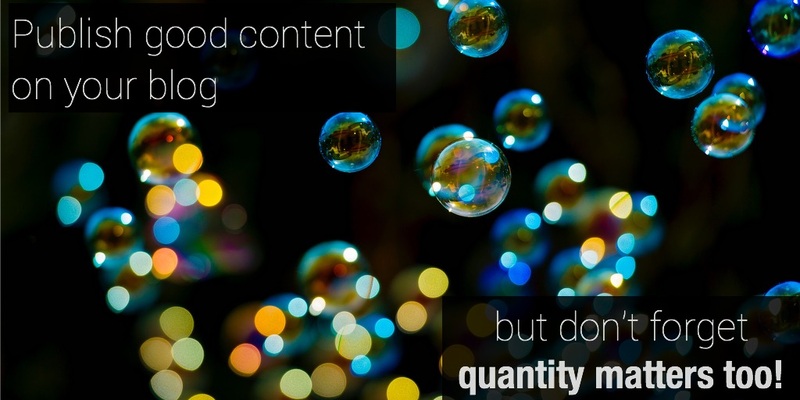 Publish quality content on your blog: quantity matters too! 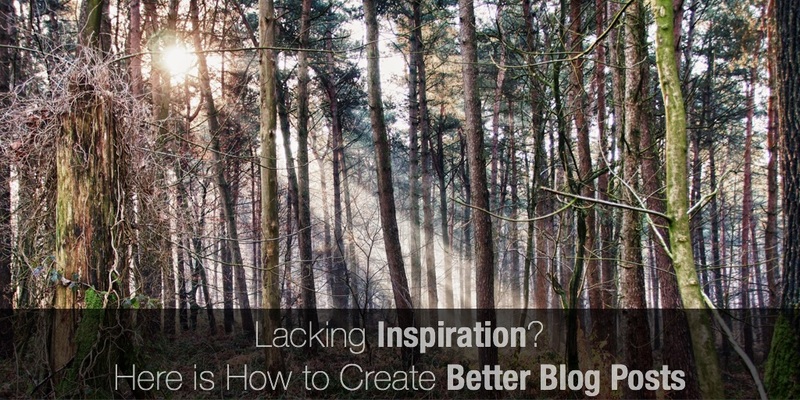 Companies tend to struggle to create and publish good content on their blog. If you’re a marketer, you’re most likely not a professional writer. Hence it can be difficult to figure out what your audience is interested in, write good content around those topics, all while running your other marketing tasks. And when your segment has many big actors with content marketing teams dedicated to maintaining an efficient blog, it can be challenging to try and compete with them. So it’s important to understand what matters in terms of content quantity and quality. Publish good content, yes indeed. Here’s how. If “Content Marketing is all the Marketing that’s left” – according to Seth Godin (best selling author, entrepreneur, marketer and public speaker) -, you want to do things right. Want more leads? You’re not alone. According to IDG Enterprise’s 2015 B2B Content Marketing Spotlight Report, lead generation is the #1 priority for content marketers. But while everybody says they want more leads, in the very next breathe they’ll add that they want better leads, too. That’s why you’ll see lead nurturing come in as priority #4 on this same graph. 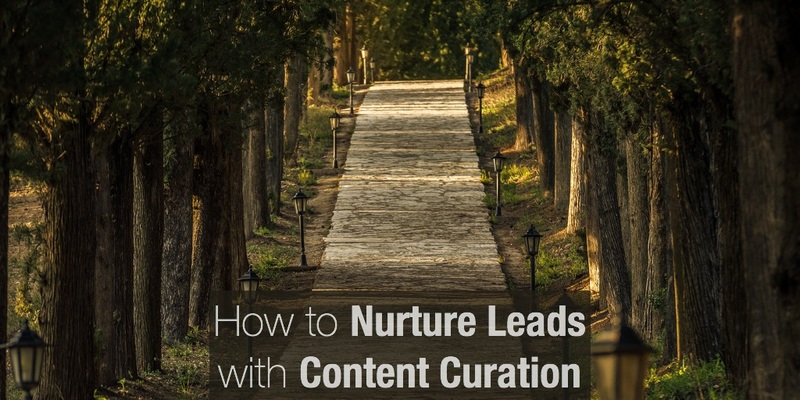 Lead nurturing is basically lead generation 2.0. First you get the leads, then you warm them up. In this article, Mike Huber rightly says “more is what you need when it comes to content marketing”, and then points out in 6. that “your team needs to be all in”. And since “the best time to start a content marketing program is 5 years ago and the second best time is today”, you’d better start publishing content regularly now. 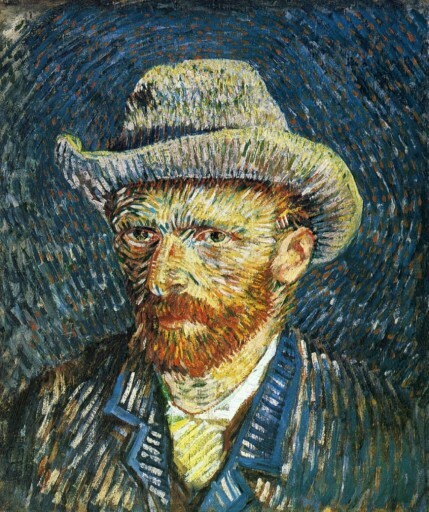 Our experience adds one lesson to this post: “curation helps you publish more”. And not just more, also better. The launch of Sccop.it Content Director in February was a huge success and a number of you already love the product! We wanted to thank you for the continuous feedback to help us improve it, and are happy to announce the release of a new version of Scoop.it Content Director that takes into account the many enhancements you asked for and that will help you generate more ROI with your Content Marketing. – Measure What Matters – improve and prove the ROI of your content with the new analytics. 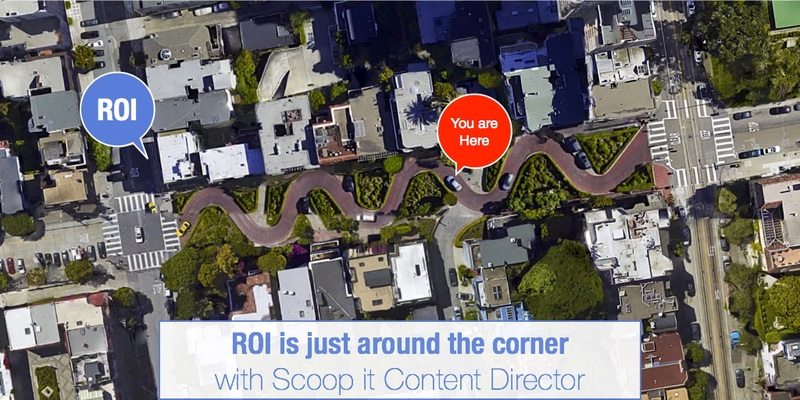 We will host a webinar on May 20th to show you how you can leverage Scoop.it Content Director to improve your Content Marketing strategy and ROI. You can register here. When it comes to writing content, a question that often comes is: how much should I create? You can hear all sorts of advice ranging from quantitative analysis on the optimized size of a blog post to bloggers recommendations on the merits of 800-word SEO-optimized posts vs long form epic content. 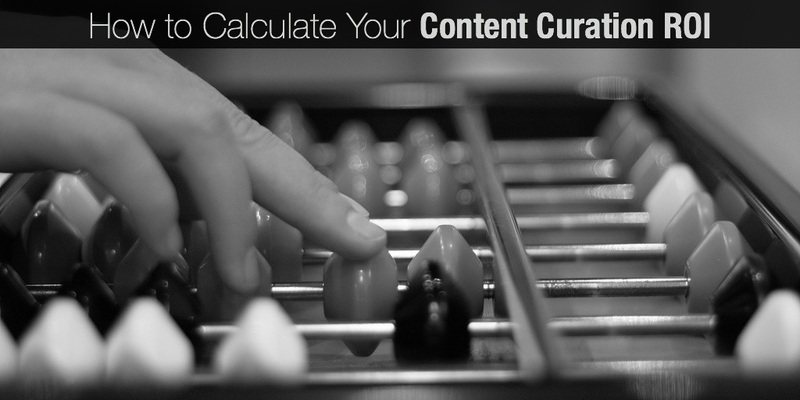 To calculate content curation ROI, all you need to do is to tally up what it took to do the marketing, and then what you got out of it. The first part of that is to figure out how long it took you to do your work. 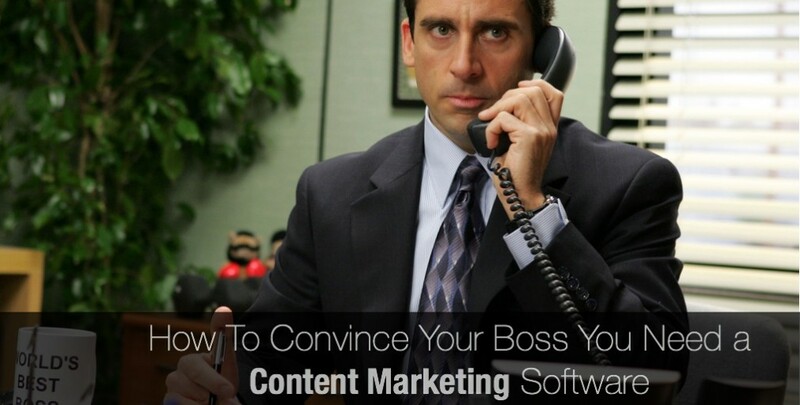 Most of us who practice content marketing rely on at least some kind of content marketing software. We’re software people by nature, so it’s only natural we’ve got a thing for digital tools. Of course, it is possible to stay on top of your content marketing work with just Excel and Google calendar. But at a certain point you’ll want to graduate to something more robust. With so many advances in smart technology these days, marketing professionals, content creators, and their teams need to keep up with the availability of tools that help reduce their workload and maximize their output. 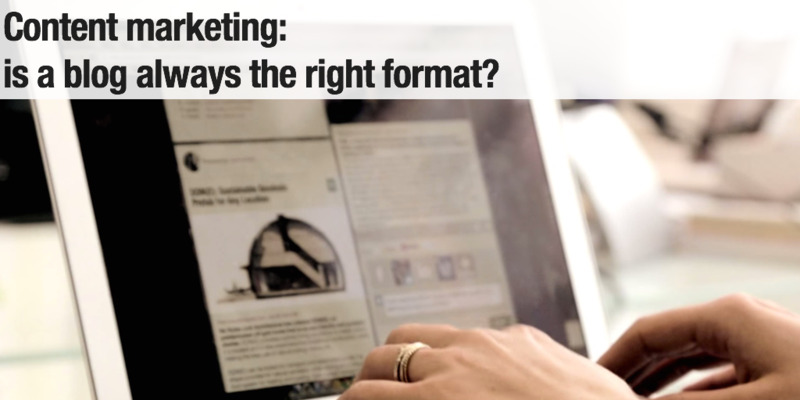 Content marketing: is a blog always the right format? 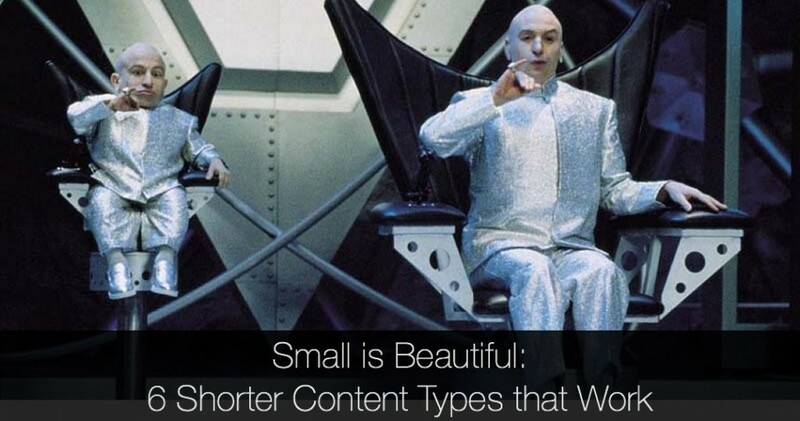 Can You Afford The 10 Creative Types Needed To Build A Killer Content Marketing Team? Creating content, especially in a lean marketing team, is an all-hands-on-deck endeavor. Having a dream team in place to create not only the social posts, blog pieces, and video snippets, but the strategy, big picture campaigns and creative long-term vision should be a top priority for marketers in 2015. Michael Brenner makes an interesting list of all the various creative talents you would need in an ideal Content Marketing team. But while there’s no denying that this would be a dream team, it’s anything but lean. Blogging remains the pillar of content marketing, particularly for SMBs. But when you browse many company’s websites, you realize their blog is under optimized. 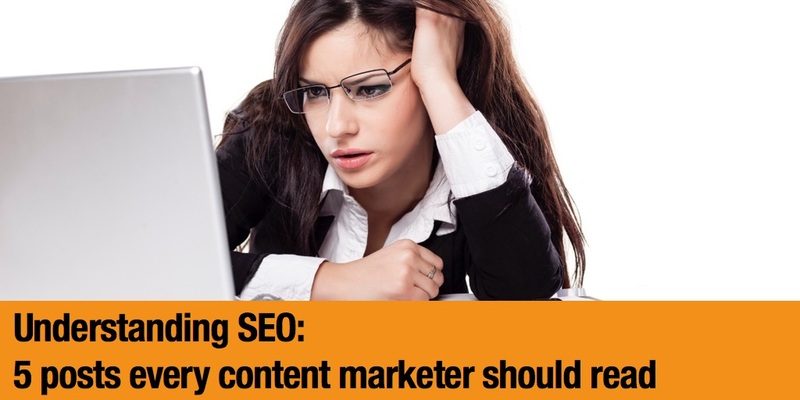 So why is blogging for content marketing so difficult? 1. It’s hard to maintain the discipline: even when you have an in-house team of content writers, creating content is time consuming and it takes a lot of efforts to maintain the rhythm. Publishing great content on a consistent basis costs a lot. 2. It’s easy to get demotivated by the lack of impact. Initially a blog doesn’t get much traffic so for ROI-driven management team, it’s tempting to dismiss it into the “tried this; didn’t work” category. Fortunately, getting results out of your content marketing in general and out of your blogging efforts in particular is accessible to anyone. Sure, it requires some particular techniques but the good news is they’re not particularly hard to implement. It’s 5:02 a.m. on Friday as I am writing this. The dog is on the floor licking…something (he likes to lick a lot!) and my wife is asleep beside me in bed. • What’s happening on Twitter? Boring. • How about Facebook? Someone else got engaged. Yay for them. • Any new emails? Delete. Delete. Inbox Zero! We’ve all been where Bryan Harris was when he wrote the above introduction to this post. As bloggers or content marketers, we always hear that voice in the back of our heads. When are you going to just sit down and write that post? What are you even going to write about? How are you going to actually make an impact with the finished product? The one decision we all make constantly. Or why we must curate or die in 2015. The key to success in a myriad of web content that may drown us in 2015 is to curate content. The whys and hows are explained in-depth inside this article. It’s interesting to see that content curation is evolving from an opportunity to a necessity as Julia McCoy from ExpressWriters recently noted in the Search Engine Journal explaining how we must curate content in 2015. Why is that happening? Why is this accelerating? According to research performed earlier in 2014 by Gigaom and reported by eMarketer, email marketing is still the most commonly used method of digital marketing, with a whopping 86% of respondents claiming to use it. If that’s not enough, though, over half (59%) of B2B marketers surveyed by HubSpot say that email marketing is the most effective channel for generating revenue. It’s time for our annual eBook of content marketing predictions. Read on to see what big trends, changes, and advances experts see on the horizon for our industry in the upcoming year. What are the content marketing trends for next year? The Content Marketing Institute asked thought leaders around the world for their predictions and compiled that in this ebook. You can read mine above but there I encourage you to read the ebook for others as well. To rise above the noise, convey a message and mobilize buyers, content marketers are turning to influencers. Scaling Content Marketing is the key area of focus for many marketers these days. A number of strategies are being offered by experts, social networks or distribution platforms including the most natural one to them: pay for play. As Mark Schaefer wrote earlier this year, Content Marketing could be the victim of its own success if content strategists don’t put in place strategies to overcome the content abundance that results in diminishing returns. Earlier this year, Facebook for instance admitted to de-prioritize the organic reach of content from Facebook pages as users are more and more publishing content to more and more friends. The solution, they say? Buy ads to boost your post. And as LinkedIn and Twitter are also massively dependent on advertising revenue, this trend is here for good. As mentioned in my reply to Mark, I believe there are ways to overcome content shock and scale Content Marketing through Lean Content. Interest-based content curation is an answer in the broad sense as it’s about leveraging existing content rather than adding to it but the team at Traackr puts it in a more specific context: influencer amplification. Their point is a clear one: rather than paying for distribution, getting influencers to amplify your reach is a much more efficient approach. With Panda, Penguin and all the other Google updates, SEO has changed over the years. What used to work doesn’t anymore. As many have observed for some time now, SEO has completely changed over the past few years. From being machine-centric, it became people-centric. But what does it mean concretely to content marketers? Here’s one of the most significant tenets of content marketing: People like to do business with other people. They don’t like to do business with faceless, anonymous, inhuman brands or big corporations. Occasionally people ask us how they could fully automate their content publishing. They’d like to not only get content suggestions automatically but also that this content be published automatically. They’d want to set up once and then forget their content marketing while just reaping the benefits of it. I don’t blame them and I even understand them. But content simply doesn’t work that way for the precise reason Amanda Clark from Grammar Chic introduces this post we’ve curated. Inbound marketing is definitely more efficient and appealing to the sophisticated modern customer than traditional interruptive outbound techniques. But for inbound marketing to work, you need to have its lifeblood: content. This Slideshare is from a talk @Marc Rougier recently gave on how content curation helps to solve inbound marketing #1 pain point: scaling the content you publish to feed your landing pages and conversion loops. 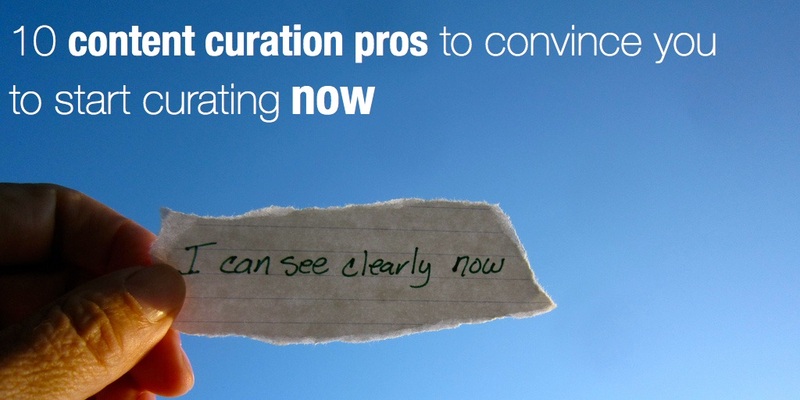 Content curation has played an important role in content marketing for some time now. And as content Marketing and inbound marketing are converging – especially for B2B marketers who are looking for ROI – we wanted to look specifically at what it brought to inbound marketers specifically. Are you using Lego blocks to make your Content Marketing lean? 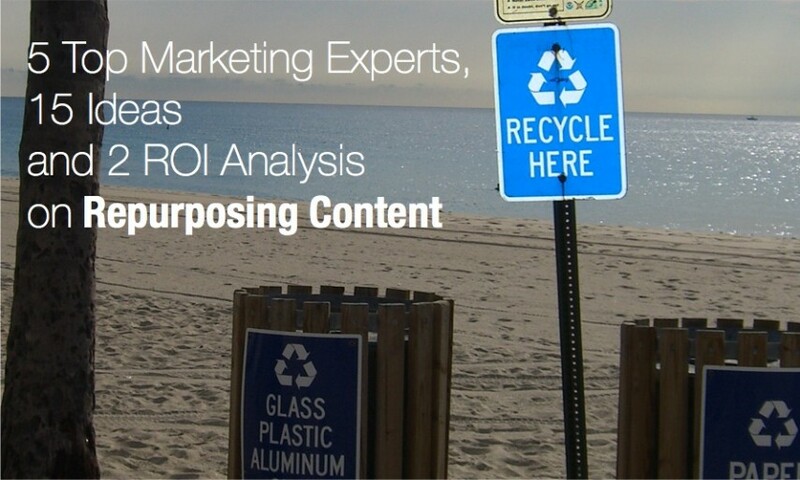 Creating original content on an ongoing basis can be a challenge, so most marketers practice the fine art of content repurposing. Are you thinking of your content as modular lego-type building blocks? Or why Content Marketing needs to grow beyond the marketing team (as I also wrote about in that post). Now, where I disagree with John Jantsch is when he uses the word “creation”. I talk to hundreds of business owners, entrepreneurs and even VP Marketing at larger companies which all tell me how incredibly hard it is to get non-marketers to create content. Don’t fool yourself: you won’t get everybody to create content. But here’s what you can do very easily. This infographic does a good job at describing 5 basic types of landing pages you might consider for your content strategy. Why should you use landing pages for content marketing anyway? Content Marketing is being adopted very quickly, especially by B2B Marketers. The Content Marketing Institute together with MarketingProfs published this great report that gives many enlightening facts about the key challenges they face and how they resolve them. Over the past few years you may have noticed a change in the way you are consuming content. With more and more large companies looking to find ways to connect to their ideal consumer there has been a shift in the way content is being developed and shared. This guy created a remix of 23 music videos from YouTube to create awesomeness. Ever since we started working on content curation, we’ve had this question: is content curation adding value? Is it stealing? Is it repeating like a parrot? And ever since we started, we’ve seen more and more examples of how the remix culture is becoming a massive trend. Just like good DJ’s, good content curators are creating something new out of the existing by not only aggregating but giving new meaning to content. This video made me speechless. Isn’t it amazing? A peek under the hood of one of Facebook’s most important algorithms.